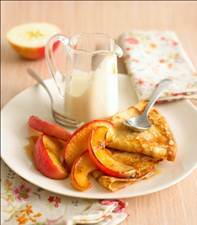 More tantalising pancake recipes for you! Cooking time 10 minutes, plus resting. 1. Whizz the flour, eggs, milk and a generous pinch of salt in a blender or food processor until smooth, with the consistency of double cream – this only takes a few seconds. Set the pancake batter aside for 10-30 minutes. 2. Brush a frying pan with some melted butter and put over a medium heat. Pour in enough batter (about 4 tablespoons) to coat the base, then tilt the pan so it spreads evenly. gold, then flip it over. When both sides are lightly golden, remove from the pan and keep warm. Continue making pancakes, brushing the pan with butter as needed to prevent sticking. drizzled with the syrupy pan juices, with cream or ice cream on the side. 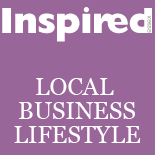 This entry was posted on February 16, 2012 by inspiredessex in Dine in Style and tagged caramelised pink lady apple pancakes, Inspired Essex Magazine, pancake recipes, pancakes, pink lady apples.